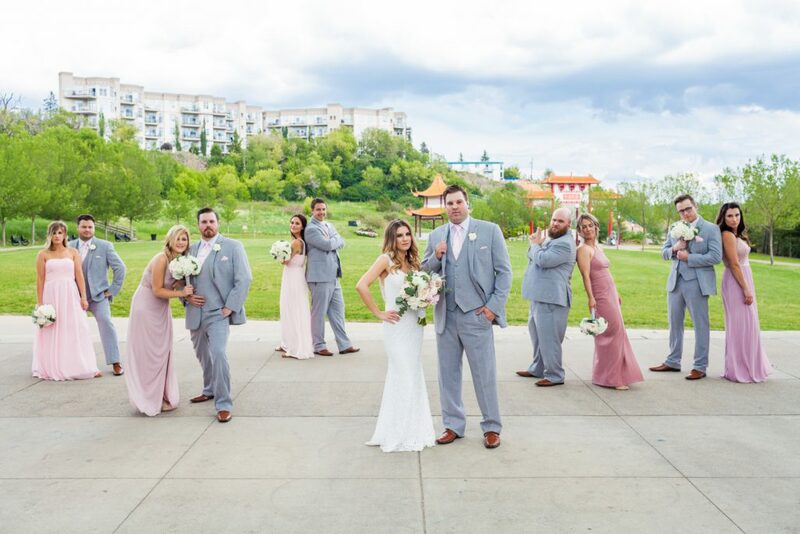 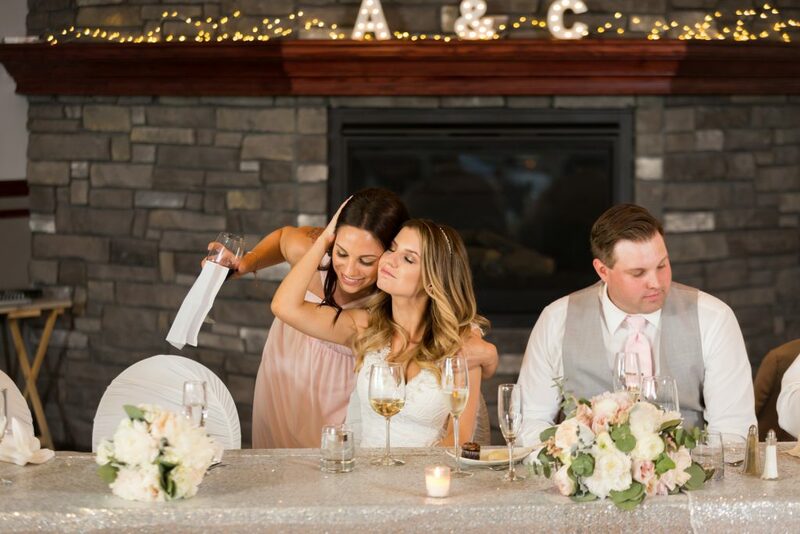 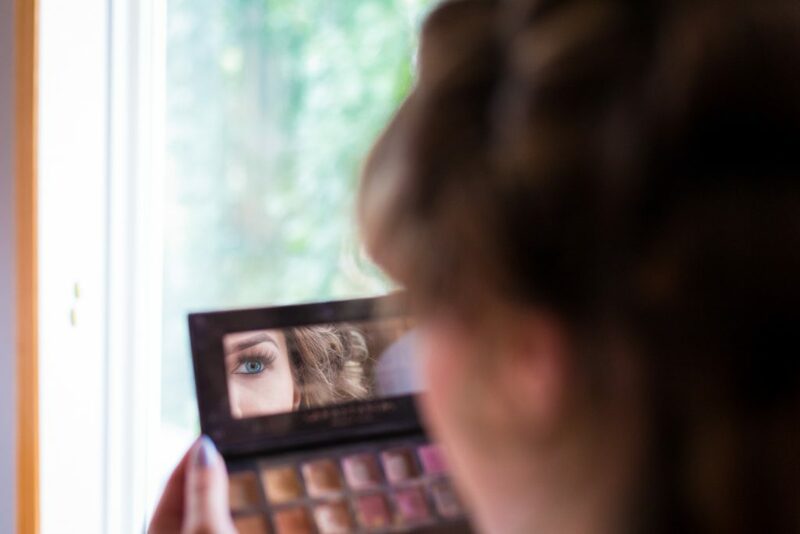 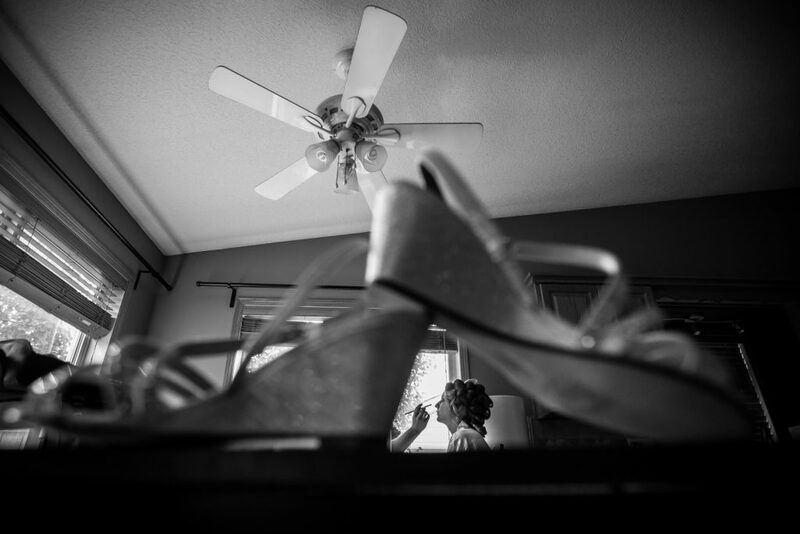 Alana and Chris’ Quarry Golf Club wedding was an epic party full of love, laughter, family and a lot of smooches. 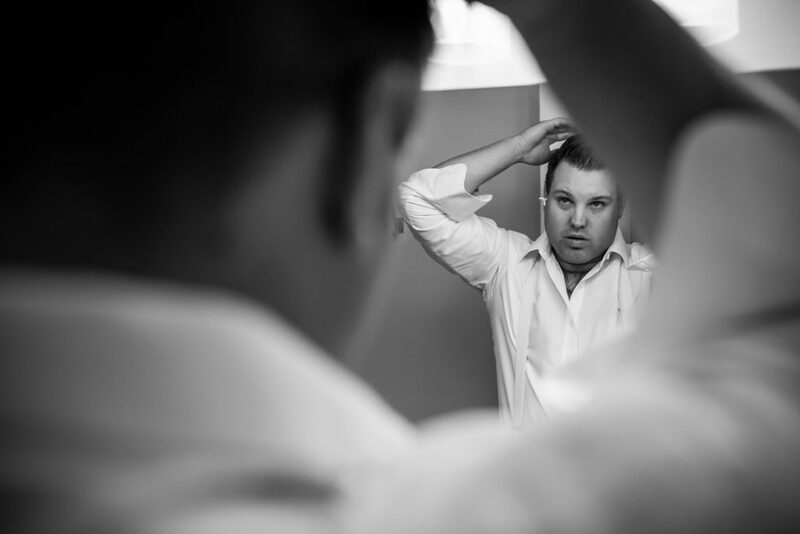 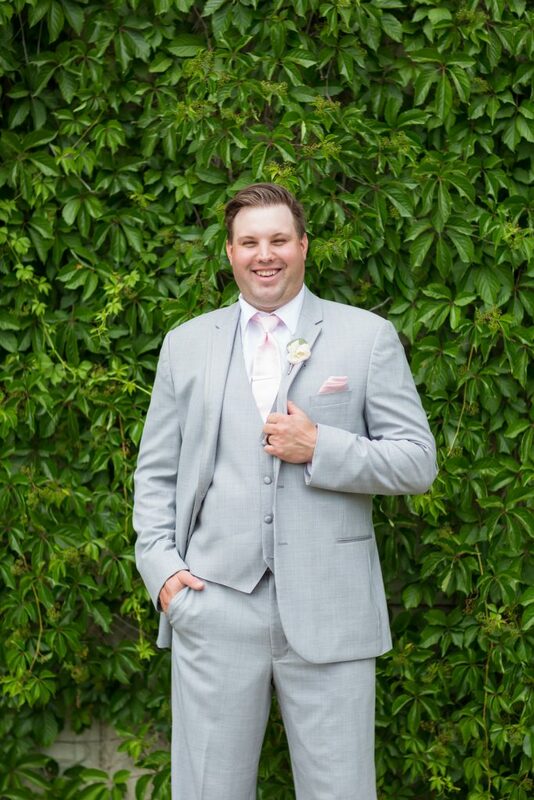 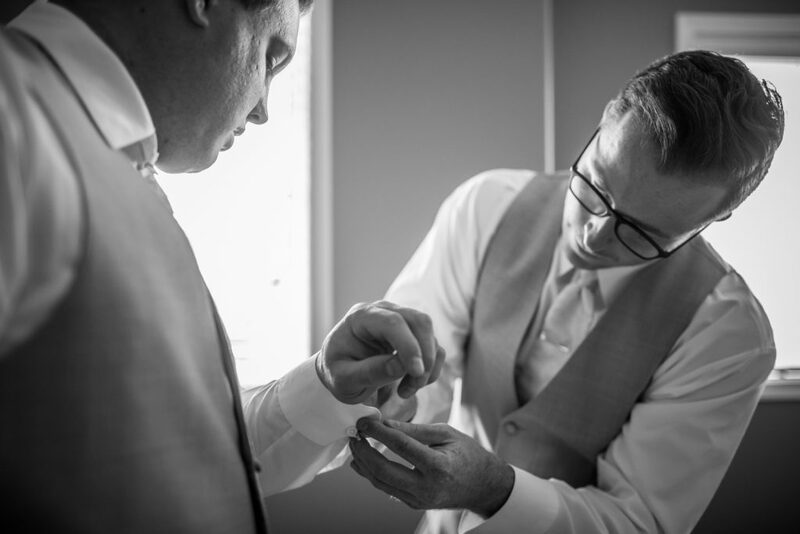 We met Chris back in 2014 when he was the the best man at Shannon & Dirk’s wedding. 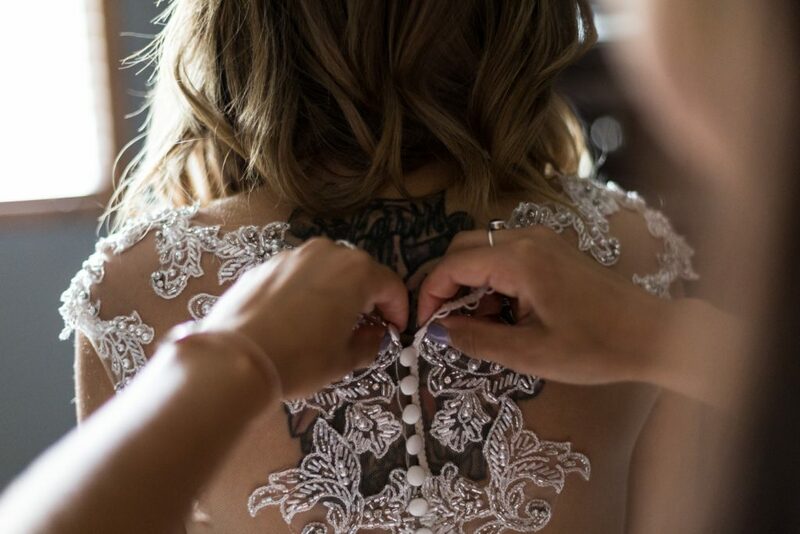 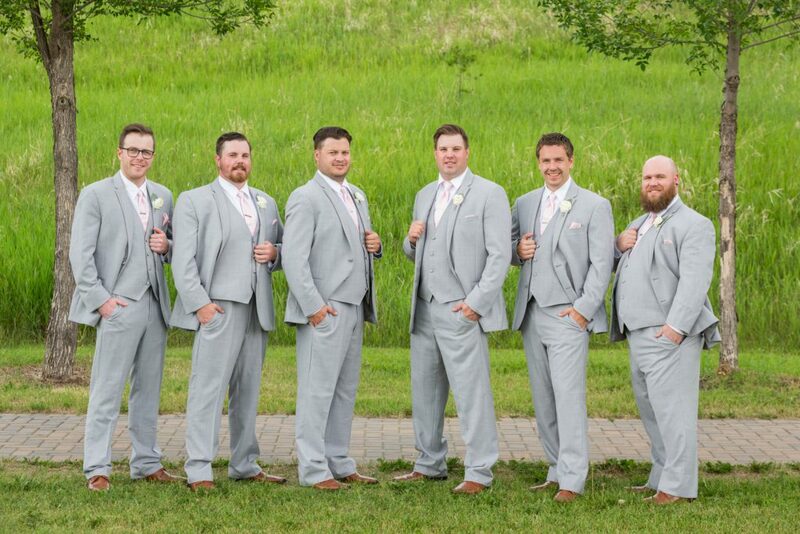 This time, the roles were reversed and we could not be more excited for this party group to reunite for an epic wedding celebration. 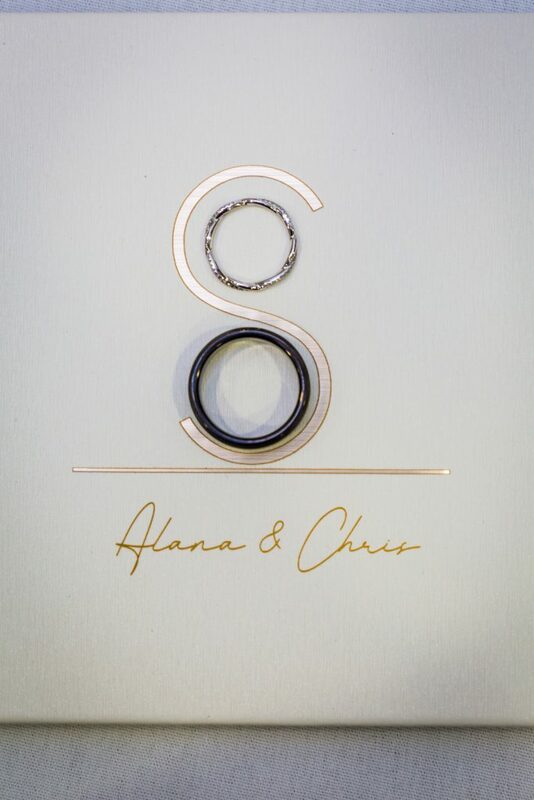 Alana and Chris are two of the sweetest, most down to earth people you will ever meet. 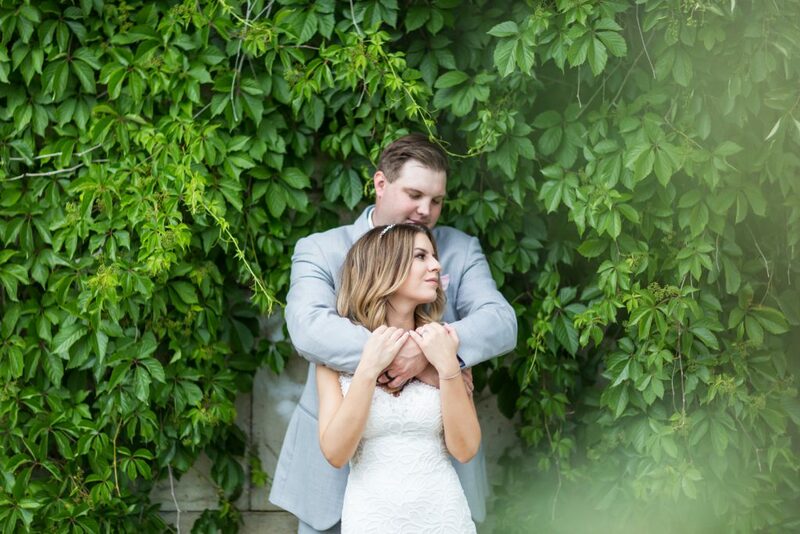 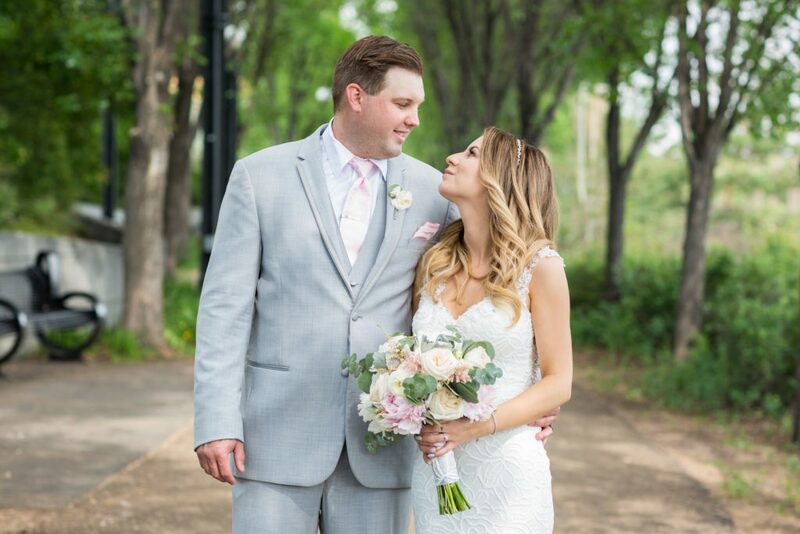 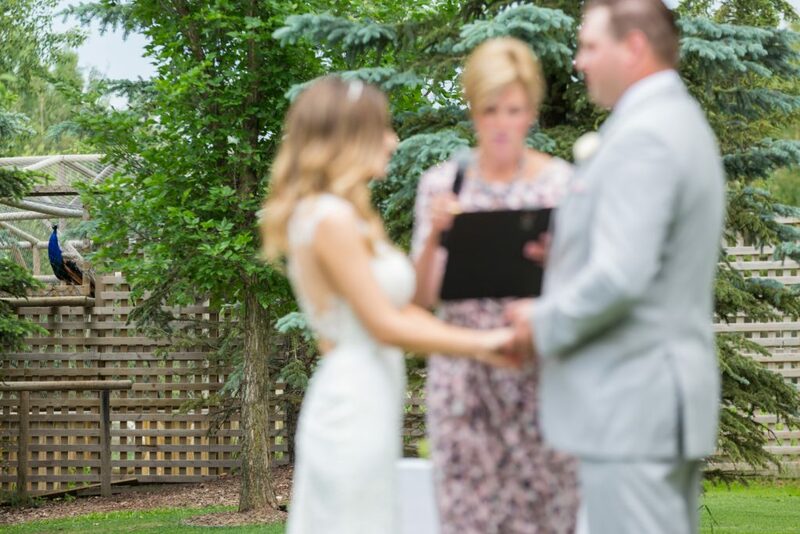 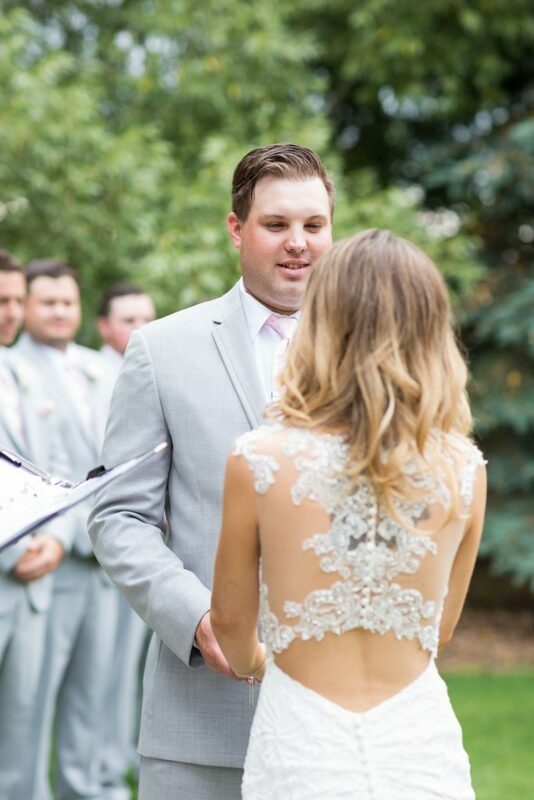 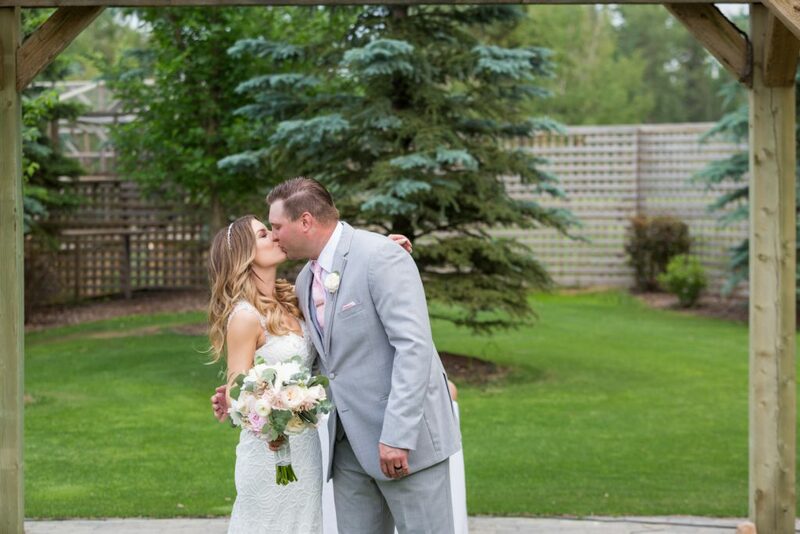 Their wedding day made sure to embrace their love of the great outdoors and of their passion for golf. 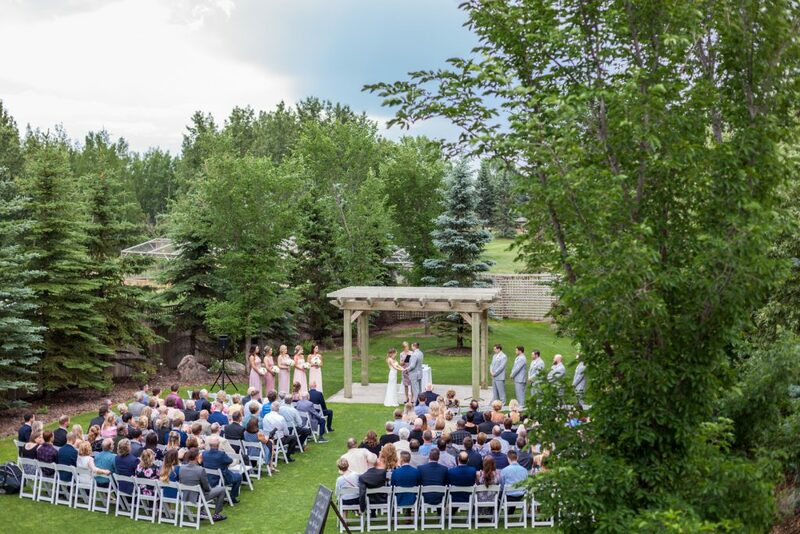 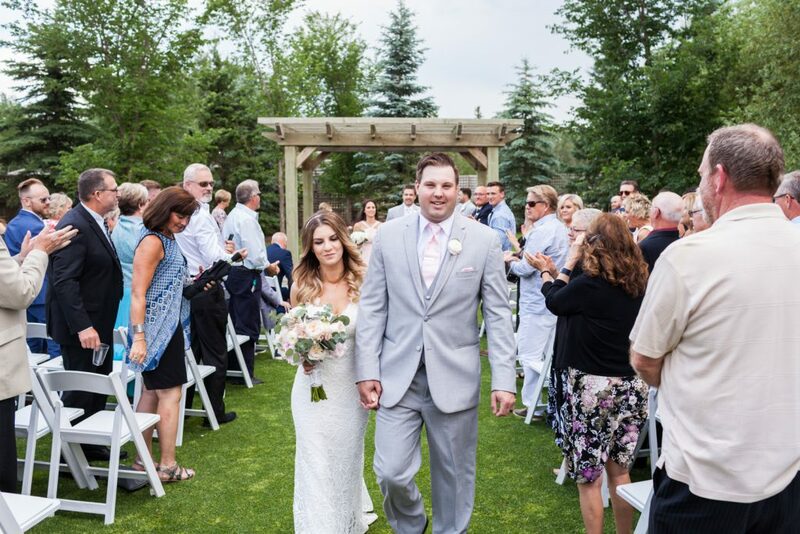 Guests were invited to Countryside Golf Club for the beautiful afternoon wedding ceremony. 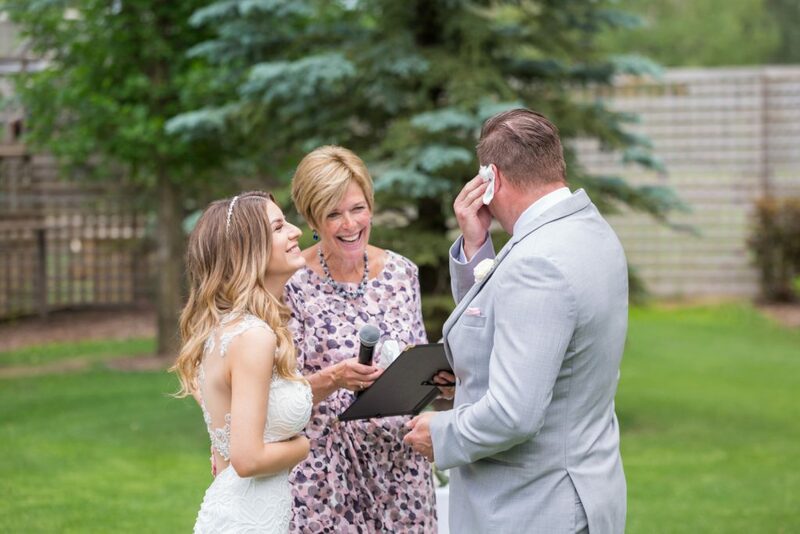 The outdoor wedding ceremony was followed by an impromptu receiving line and family portraits with the newlyweds. 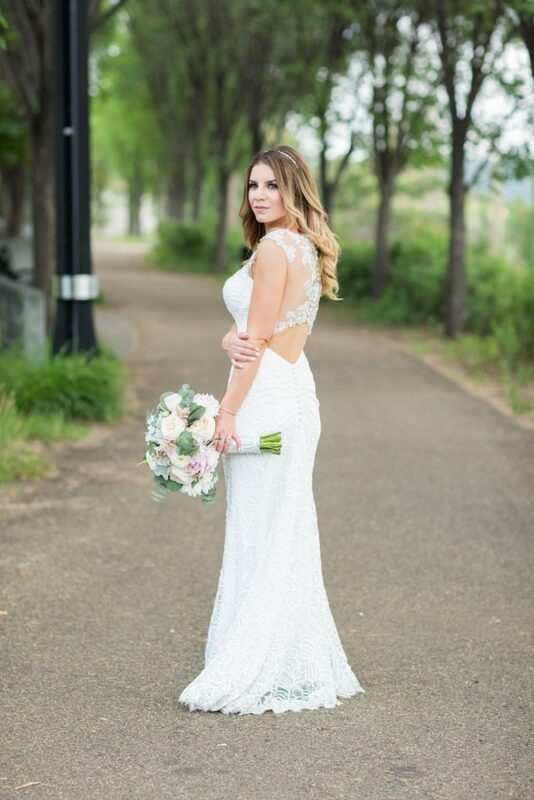 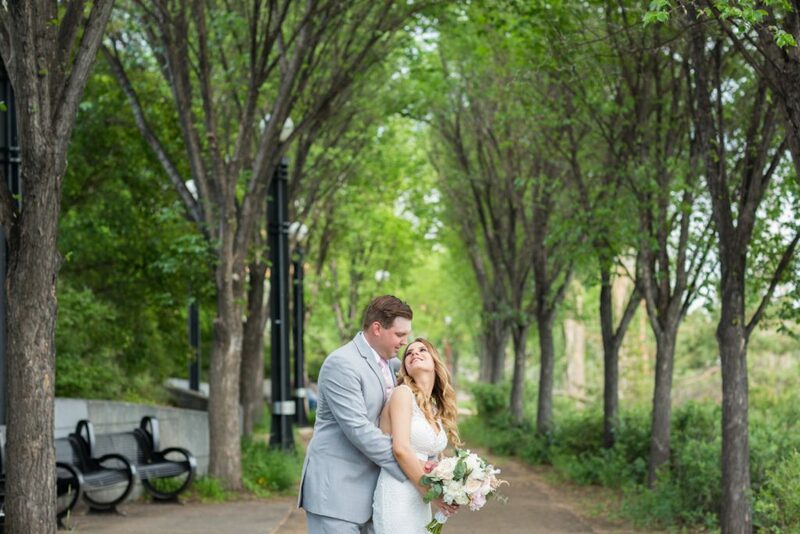 Wanting to make the most of their wedding day and to embrace all the natural beauty that the city has to offer, the wedding party explored Louise McKinney Park for their portrait session. 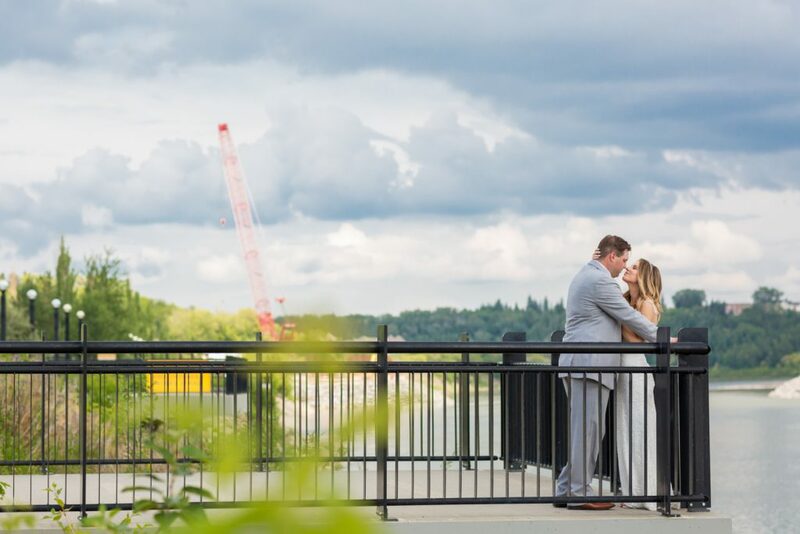 This beautiful park is located in the heart of downtown Edmonton and offers stunning river valley scenery. 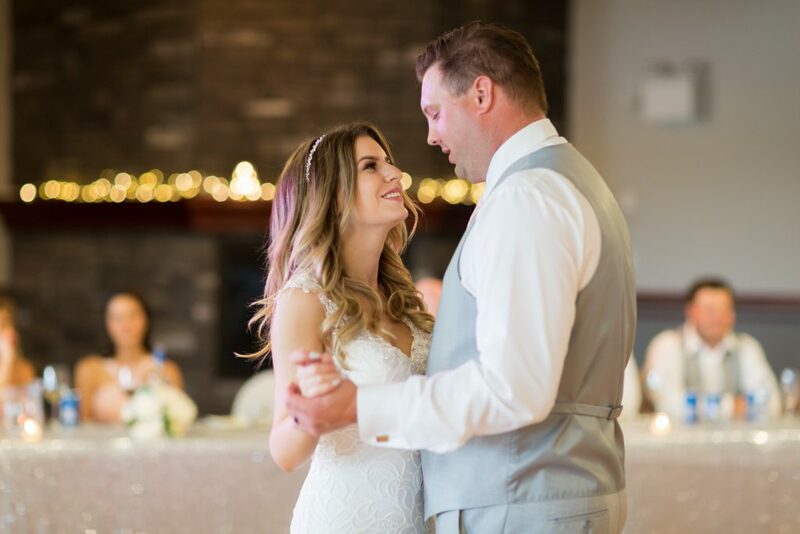 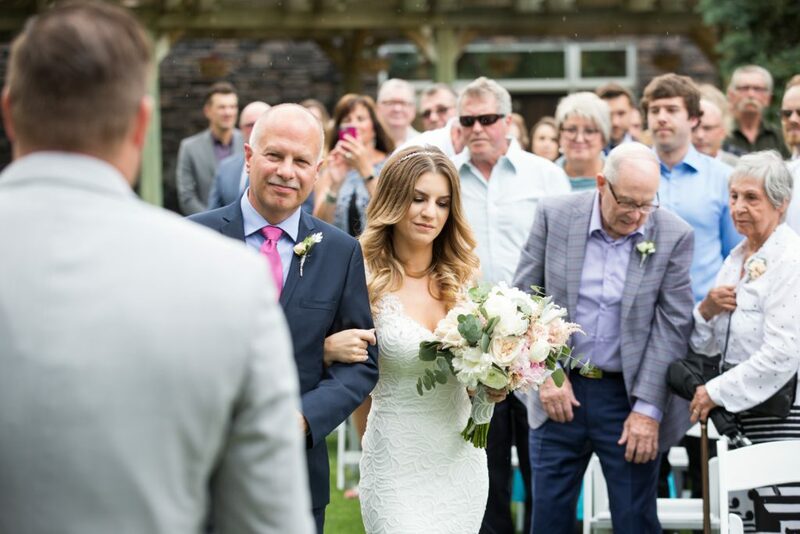 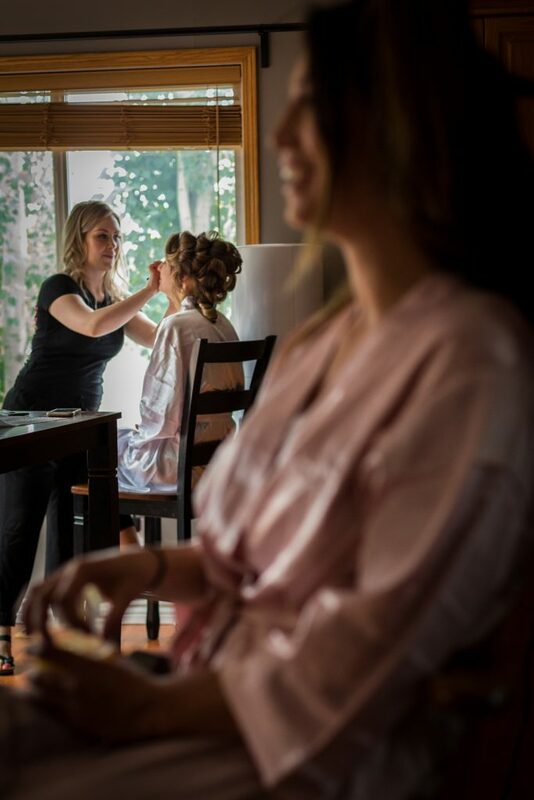 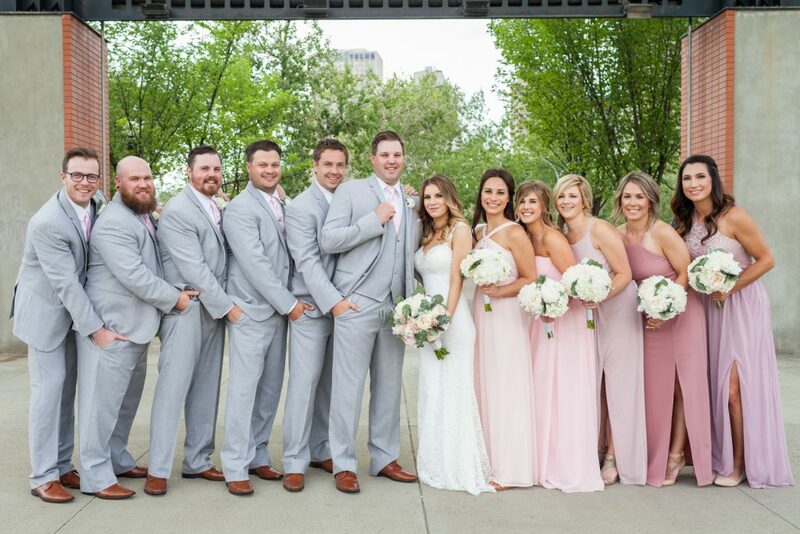 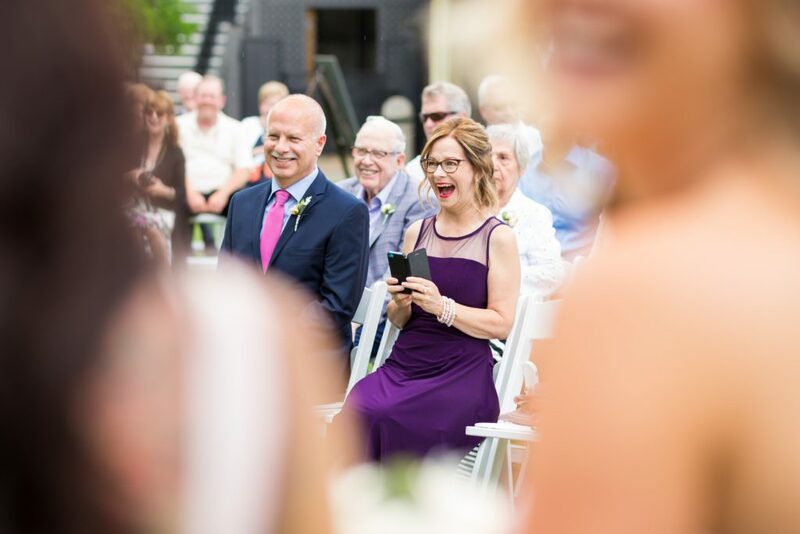 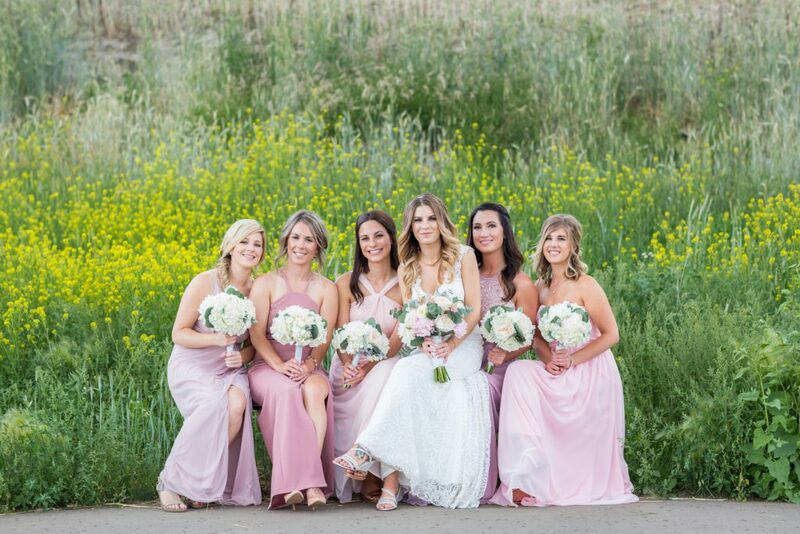 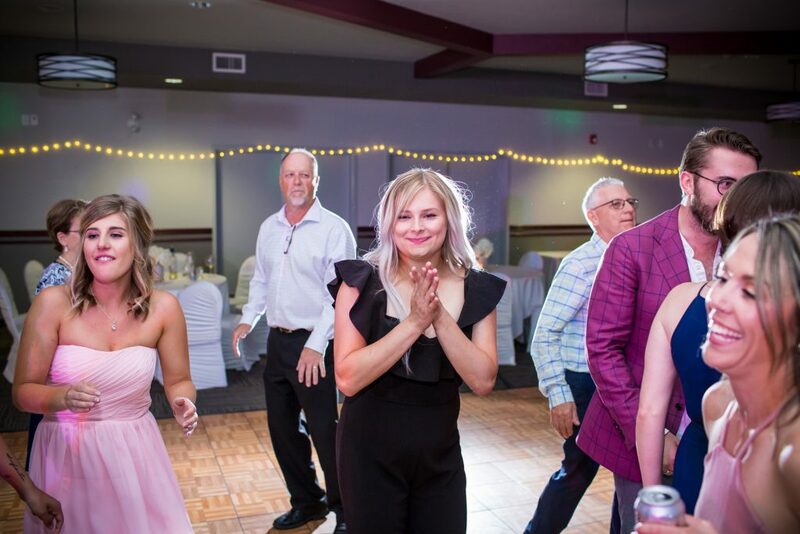 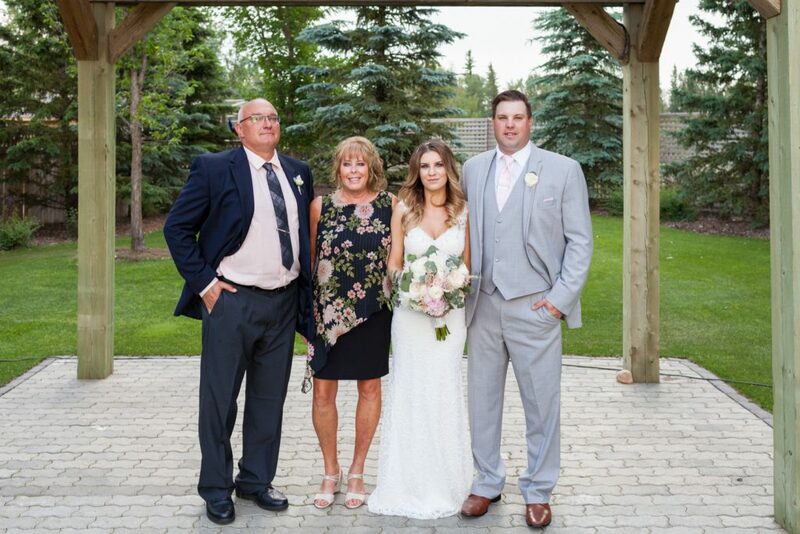 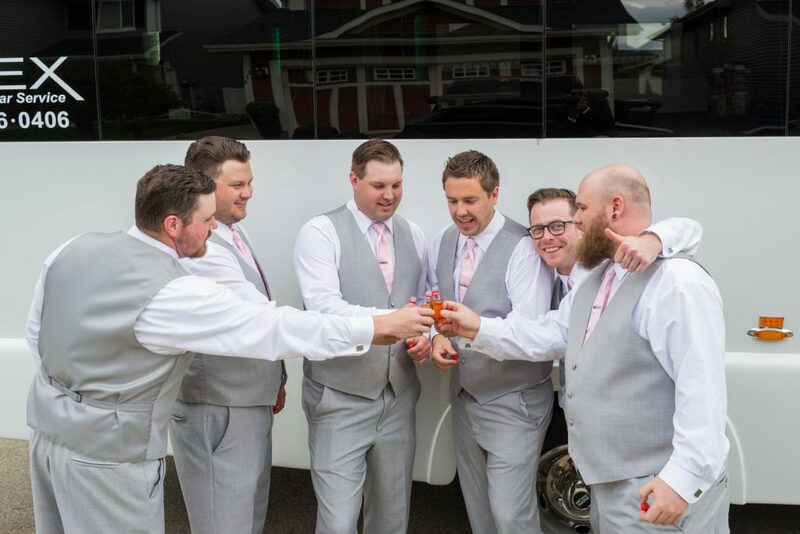 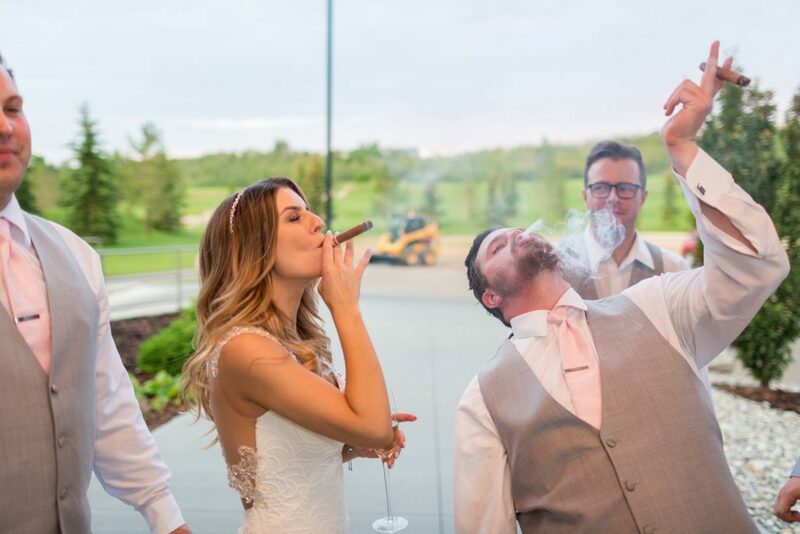 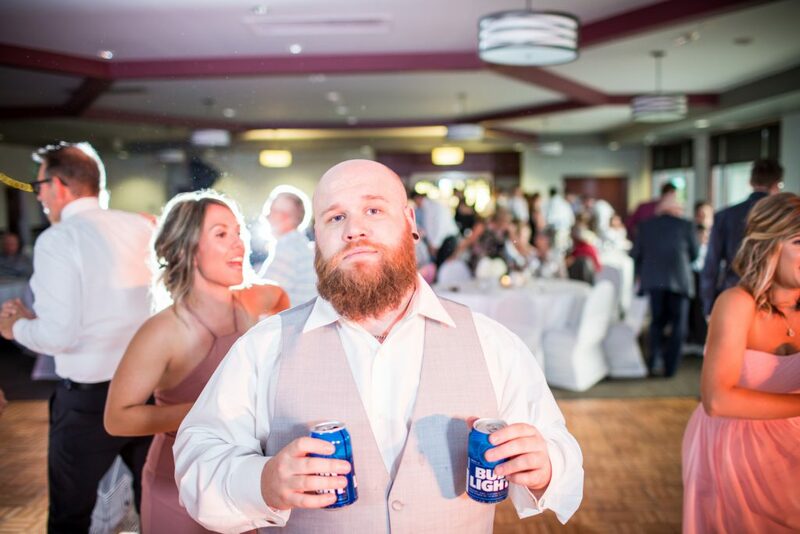 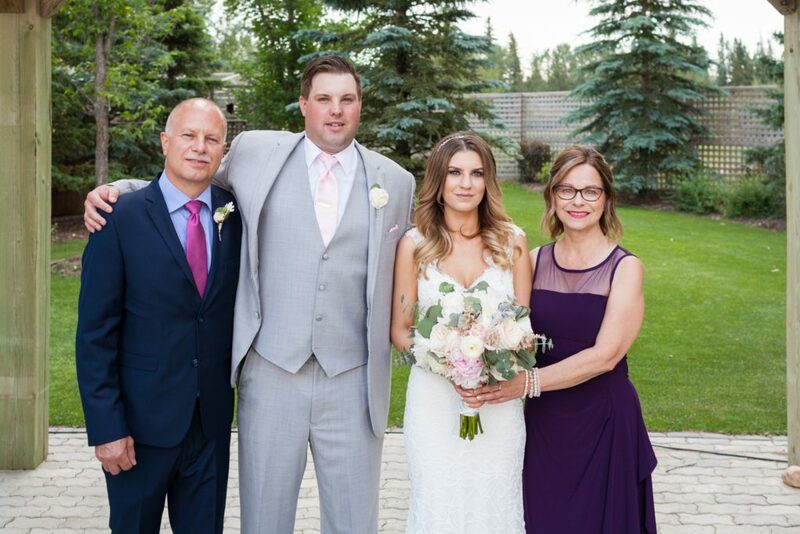 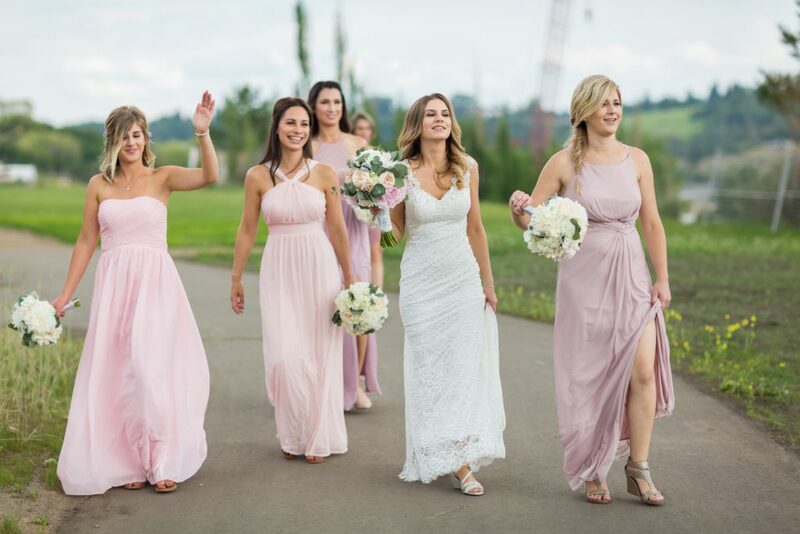 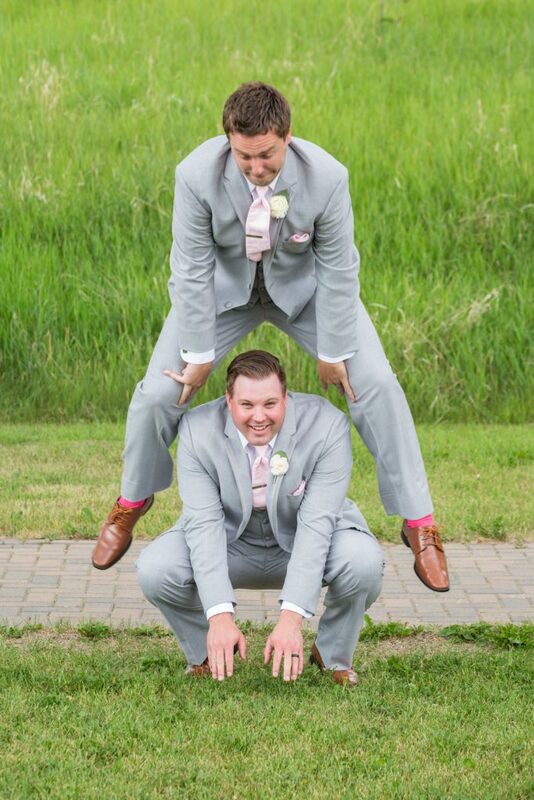 Alana and Chris’ energetic wedding party were an absolute blast to hang out with – there is no question as to why the newlyweds chose these amazing people to be with them on their big day. 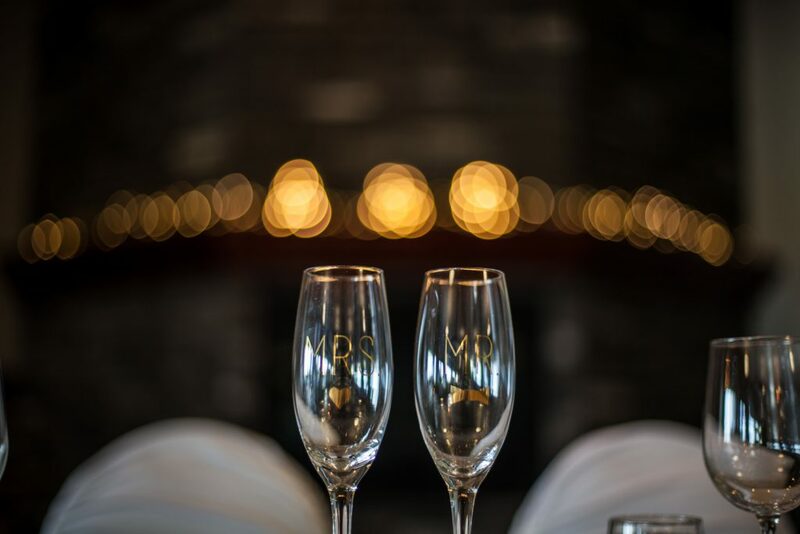 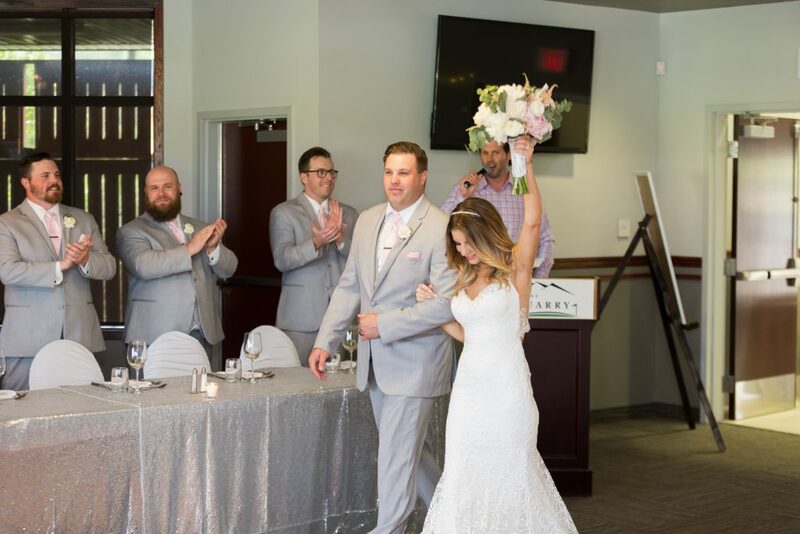 The elegant wedding reception was held at The Quarry Golf Club. 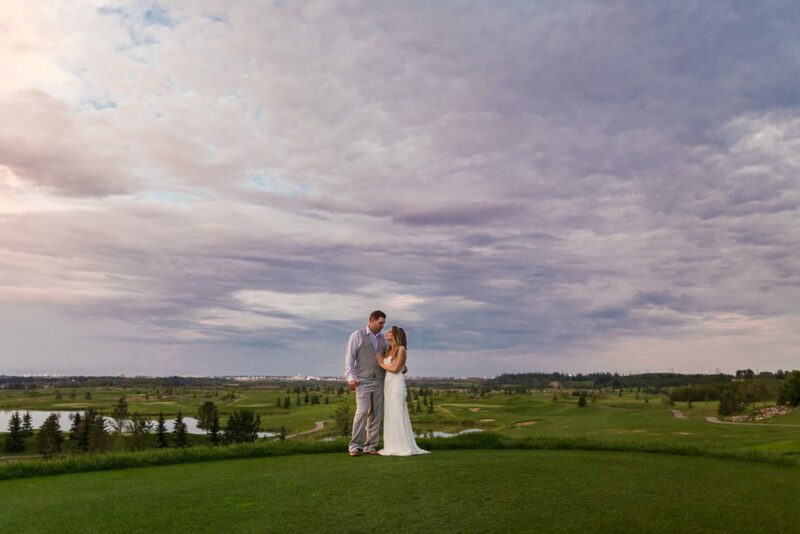 This stunning golf club overlooks the bright green golf course and offers bright, sunny views to the south. 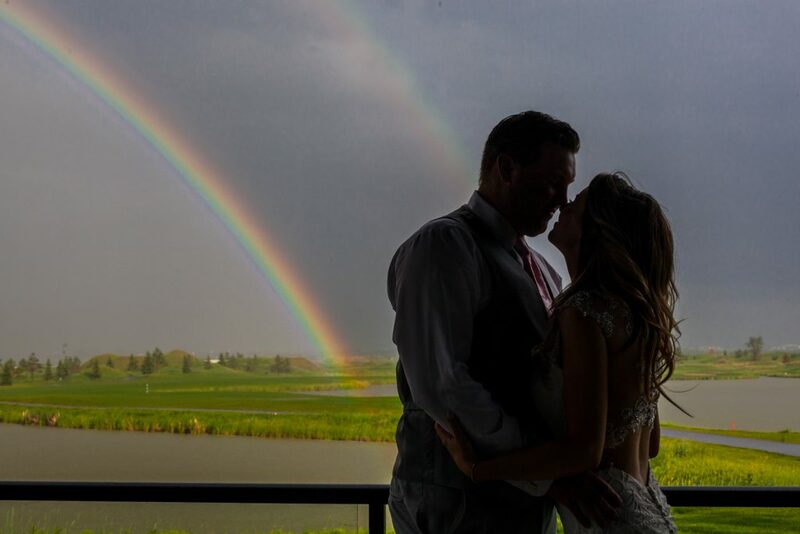 After a brief (and rather aggressive) thunderstorm the skies cleared for the evening, bringing with it a double rainbow and a jaw-dropping sunset. 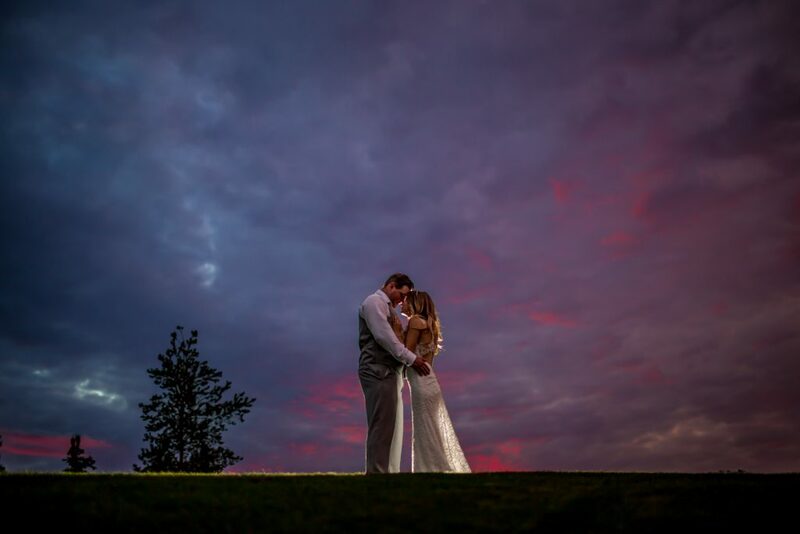 We were able to steal Alana and Chris away from their party for a few minutes to capture some of the magic sunset colours. It was definitely worth the wet grass and frenzy of mosquitos. 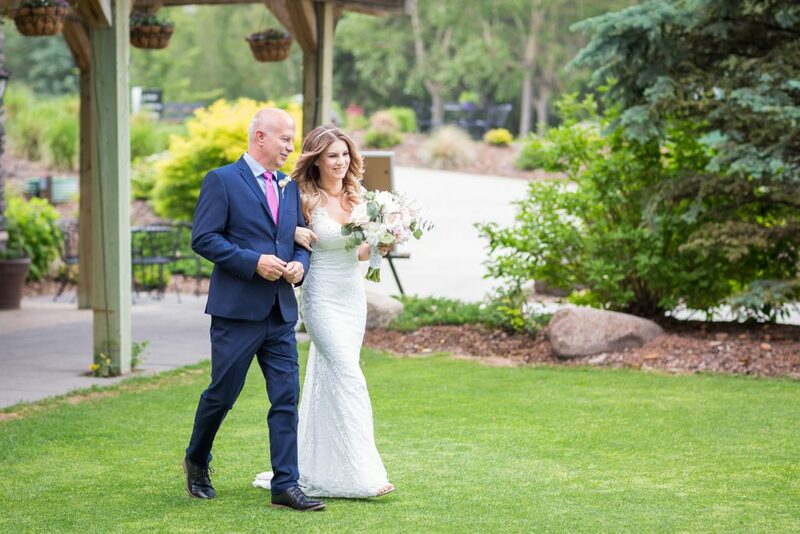 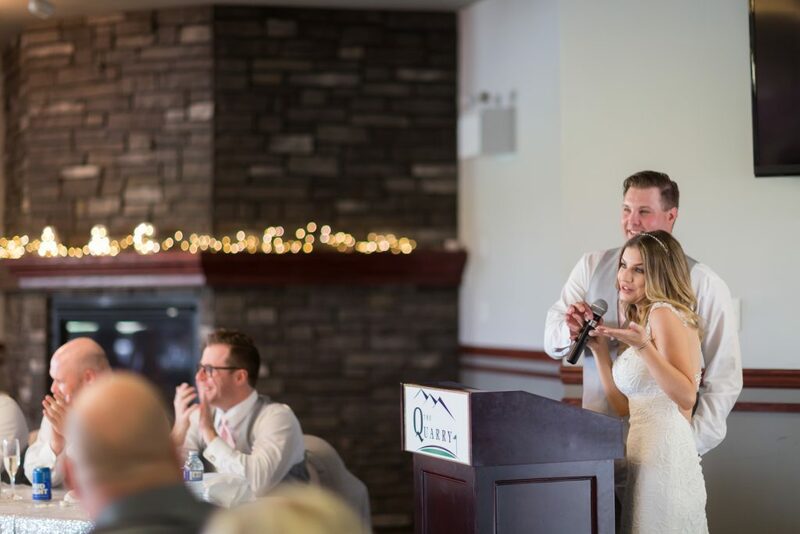 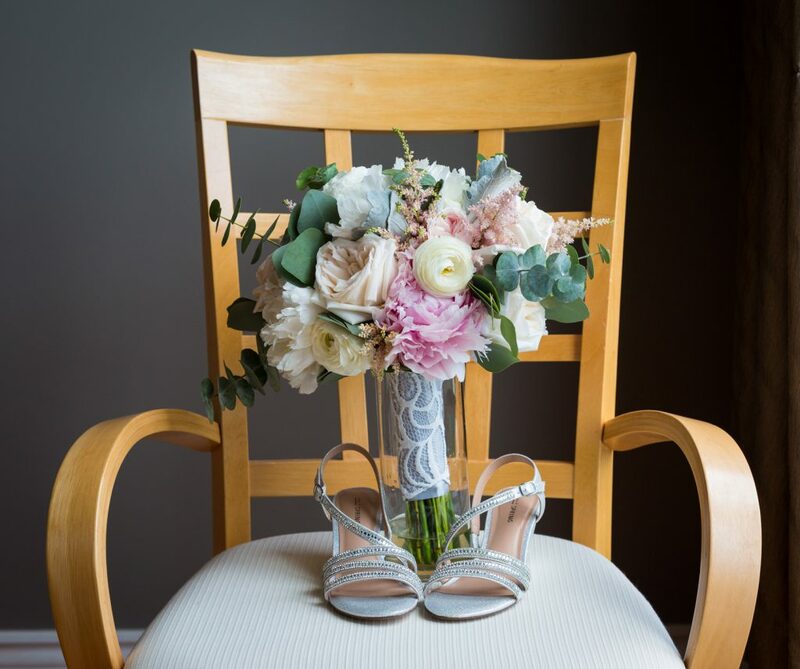 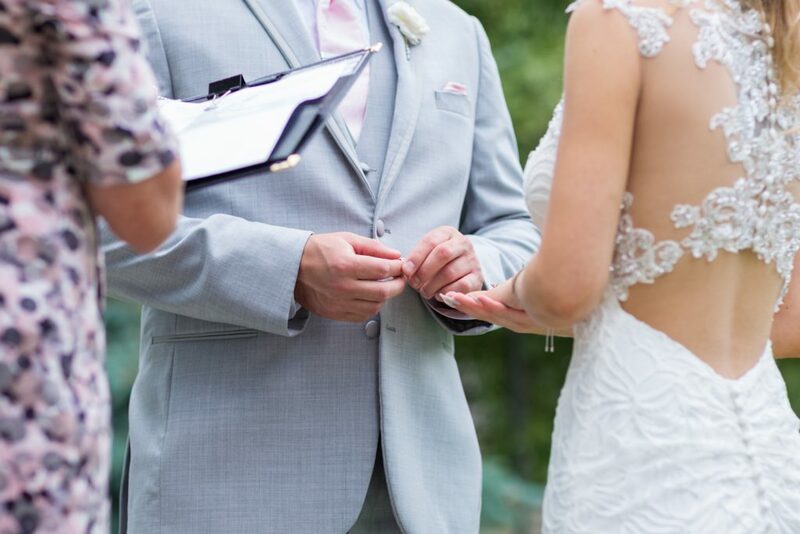 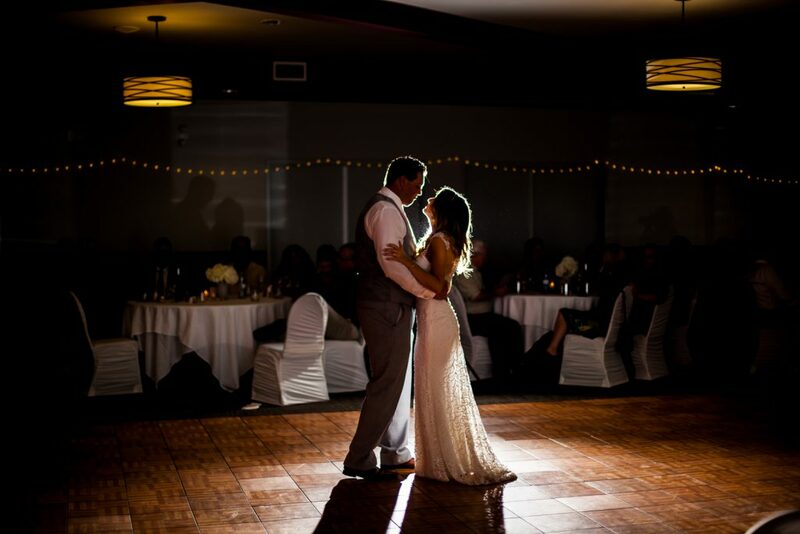 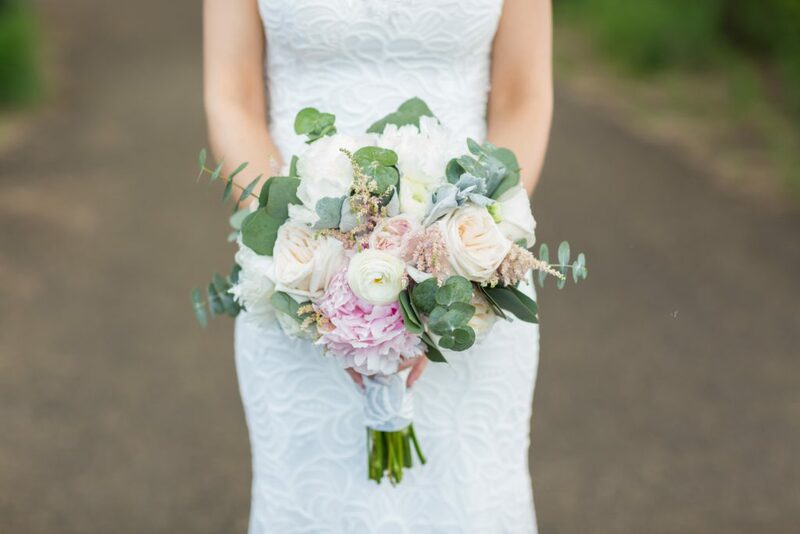 Thank you for inviting Deep Blue Photography to capture your gorgeous Quarry Golf Club wedding.